I recently discovered this little blog called Seattle Seedling. Stacy, who is an urban farmer, writes about her life as a Seattlite but living a life not common in the city. Her little city home is complete with gardens, chickens, positive energy and good karma. She eats from the Earth and understands how to live off the grid as much as possible. She also has a compassionate soul. She has started a separate garden where all of the produce grown is donated to local food banks. How amazing is that?! 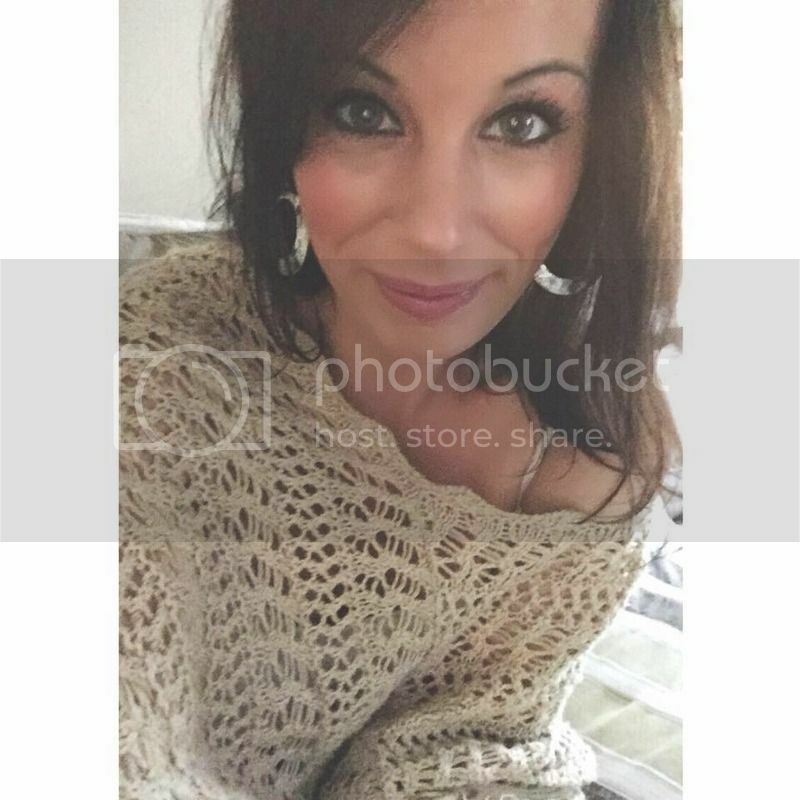 I encourage you all to take a few minutes to visit her darling blog… urban farm living is doable and easier than you may think! 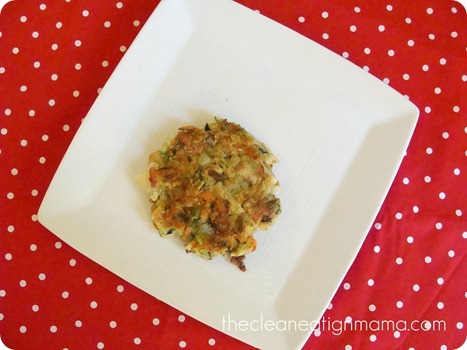 I saw her recipe of zucchini pancakes and I knew I had to make them for myself. They are crisp, light and full of hearty flavor and texture. I used her basic recipe but added a few more ingredients. Why can I never keep a recipe simple? 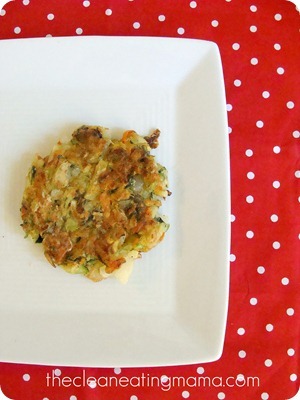 These vegetable cakes reminded me of latkes, which I love. Enjoy! Grate carrot and zucchini in a large bowl. Take a clean towel and place mixture on the towel and wring extra moisture out. Place back in the bowel. Add the remaining ingredients, MINUS the coconut oil, and only 1/3 cup flour. Mix with your hands until you can make a ball and it will not fall apart. You may have to add more flour to achieve the desired consistency. On a separate plate, sprinkle some flour with some salt and pepper – this is for dredging the mixture. In a large skillet, add coconut oil and heat on medium heat. Let warm up for a minute. Take the mixture and divide it into fourths. Take one serving of the mixture, roll it into a ball and roll into the flour mixture on the plate. Carefully place into the skillet, flattening until your desired size and thickness. Do this for all 4 servings. Let cook for 8-10 minutes on each side. You may have to add more oil when you flip. Make sure they do not burn. I was searching for a good condiment to dip in. Although, these are so full of flavor that they really do not need anything. But alas, I was still searching. I tried ketchup (no go), hot sauce (pretty good), hummus (getting better!) but nothing was cutting it. Until I remember Stacy mentioning that she sometimes heated them up for breakfast and topped them with maple syrup. The sweet and savory combination was so amazing! Because the coconut oil definitely added to the sweetness, I am not sure it would have the same flavor profile if you used olive oil, but I would still give it a try. 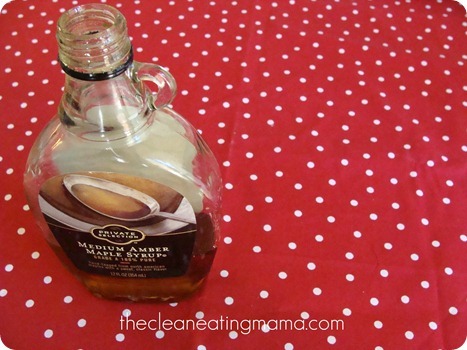 Maple syrup is pretty amazing on anything. 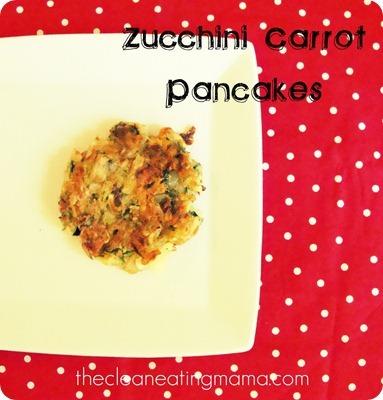 This entry was posted in carrots, recipe, vegan, vegetarian, zucchini. Bookmark the permalink.